If it’s not Sparkling…. what’s the Pointe? We proudly present Sparkling Pointe winery, an architectural beauty in the style of an elegant French Country Manor. From the soaring double-height tasting room, exquisite Venetian crystal chandeliers to the mesmerizing vineyard views, and the very private, very VIP Bubble Room –effervescence itself in shades of silver and gold. This opulent venue dazzles the senses and celebrates all that the North Fork has to offer. Now that’s sparkling! 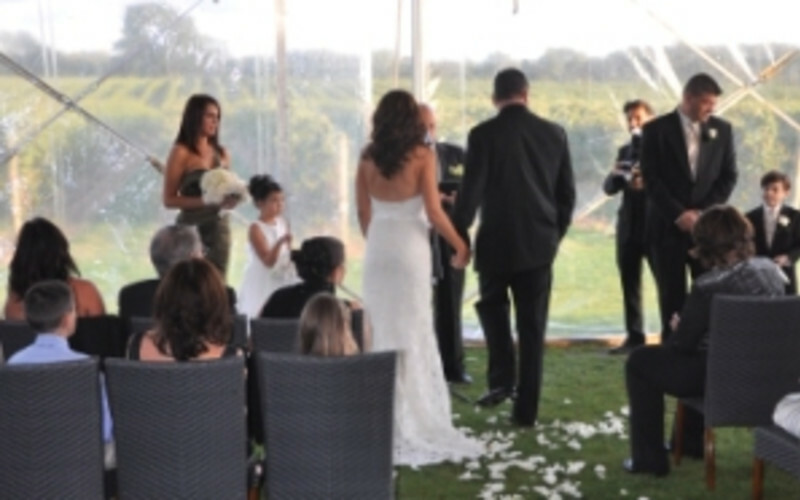 WEDDINGS: Starting in 2010 we will host weddings year round. We can accommodate up to 200 guests in our indoor facilities and up to 320 for a tented event on the Great Lawn and Terrace. Ceremonies may be held on the premises. Site fees vary depending on day and time of year, please call or e-mail with queries or to schedule an appointment with our event manager. PRIVATE EVENTS: Private celebrations and corporate events are also welcome. Our VIP Bubble Room (accommodates up to 50 guests) is set up as a lounge with flat screen TV and fireplace for private tastings and informal gatherings and is available during business hours as well as after-hours. Or, it can easily convert to a dining/meeting space. Our Grand Tasting Room is also available for up to 200 guests (Indoors) and up to 320 for tented events. Prices are by the hour and vary according to time and date, please call or e-mail with queries or to schedule an appointment with our event manager.